Are Memory Foam Mattresses the Best? Memory foam has been around for decades, and you might be surprised at how it originated. In 1966, NASA developed memory foam to absorb shock in NASA’s airplane seats. The utility of the material has been realized in all kinds of applications — from Dallas Cowboys’ football helmets in the 70s and 80s, to insole cushions and mattresses today. The material was initially called “slow spring back foam” because it flowed to match the contour of the body pressing against it. Once the pressure was removed, it returned to its original shape. Today, memory foam has evolved, and you’d be hard pressed to find a mattress store or mattress manufacturer that doesn’t use it in some capacity. The material was designed to provide maximum support and comfort. So, are memory foam beds worth it? Absolutely. Does that mean the same foam mattress is right for everyone? Of course not! 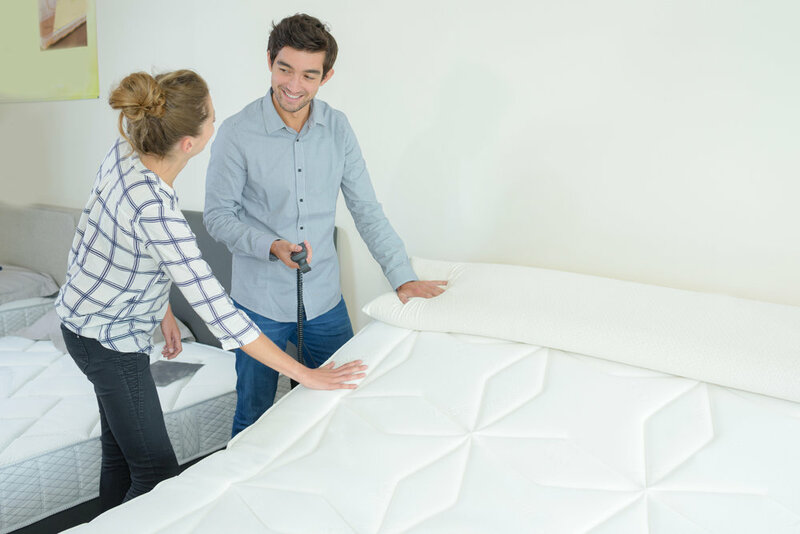 Just as the initial permutations of memory foam were developed to improve support for the body, modern memory foam mattresses are also built to relieve pressure on your joints. And because the material responds and contours to your body, it helps you get into an ideal sleeping posture with proper spinal alignment. Memory foam beds are great for partners. If you’re a light sleeper, or if you sleep with one, you’ll find that foam allows you to toss, turn, or get up without creating ripple movements across the mattress. Memory foam mattresses come in a range of firmness options, so you can find a style that feels comfortable to you no matter how you typically sleep — on your side, stomach, or back. Memory foam mattresses are built to last, and require little maintenance. Make sure you use a mattress cover, and take care not spill liquids on your mattress. You might want to turn it every 6-12 months if you sleep predominantly on one side, but other than that, simply vacuum the mattress lightly to make sure it remains free of dust or other allergens. If you love traditional mattress construction, you can still get the benefits of memory foam. Many mattress manufacturers make hybrid coil spring mattresses with memory foam in the topper or mixed in the core. Memory foam continues to evolve and improve. New gel memory foam, for example, is infused with gel that captures and dissipates heat as you sleep. If a more customized, comfortable, and cooler night’s sleep sounds good to you, try out our Wellsville mattress collection at any Mattress Man store location. Which Bed is Best for Back Pain?